Born in 1976, multi talented Dutch artist C-Jay took up an early interest in electronic and experimental music from the hands of artists like Jean Michel Jarre, Vangelis and Tangerine Dream. C-Jay is as diverse as it can get in the dance music business: former record store owner (Sessions Record store), dj, producer, label owner (The Sessions Recordings) and promoter of his own underground dance nights, called “The Sessions”. By making better music with every release the support of the big names followed; artists who support his productions include Hernan Cattaneo, Anthony Pappa, Shiloh, Satoshi Tomiie, Parham, D-Nox, DJ 19, Kosmas Epsilon, Leron & Yves Eaux, Mo Shic, Ace Ventura and Kasey Taylor: all big fans of C-Jay's soundscapes and dropping his tunes all over the world from Asia to the USA. Not bad if these people can be called your "fans". C-Jay signed deals for releases with Moun10, Iboga, Flow, Climax, Plastik Park, Cyber, Vapour, Babylon and 19Box Recordings this time. 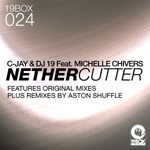 C-JAY teamed up with 19box owner DJ 19, and created a pure, progressive vocal track featured Michelle Chivers. The remixes come from Australian unit, The Aston Shuffle. This is a first remix for them. In 2005 after being friends and associated production whores with Mikah Freeman, Vance Musgrove & Ross McGrath started their digital label project, dubbed The Aston Shuffle. What started off as a group effort to get their previously unreleased tunes to the masses has skyrocketed into 2007 with the group heavily in demand for their white hot remixes – a little electro, a little techno, but all house. Back to the start, Vance already had numerous releases in his teens, before teaming up with Ross for their much sought after “Coney Island EP” on Aussie label EQ [Grey] which hit the coveted No 1 spot on the US Balance Chart. While Ross was hard at work in the studio refining his sound, Mikah had been honing his reputation as one of Canberra’s best DJs for the last few years. Mikah & Ross started their Tangleray project and had already stumbled into playing their live show to the delight of many Canberra club goers, before having their debut remix release hand-picked by Sasha for inclusion in his 2006 set for Radio 1 legend Annie Nightingale, recorded live from Sydney’s Home nightclub. With all three hailing from Australia’s capital Canberra, it was easy for their group projects to mix together, and as the sound of dance changed in Australia to the electro & tech house sound it is today, The Aston Shuffle as a production group was born. What came by chance was an offer from Japan’s DJ 19 for a collaboration that would see Tangleray vs. Musgrove for a remix of C-Jay & DJ 19’s “Nether Cutter”. For downloads, as well as at iTunes, our old catalogues will be available at beatport soon. Then next 19box tune, C-JAY worked in collaborated with DJ 19 will be released on July 31th. 19BOX RECORDINGS set up website on myspace.